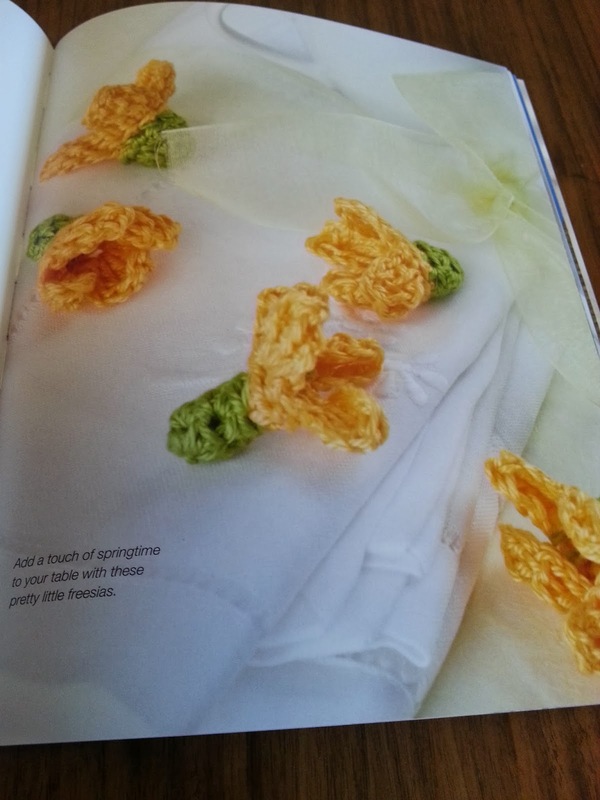 but don't rush off you'll be surprised. 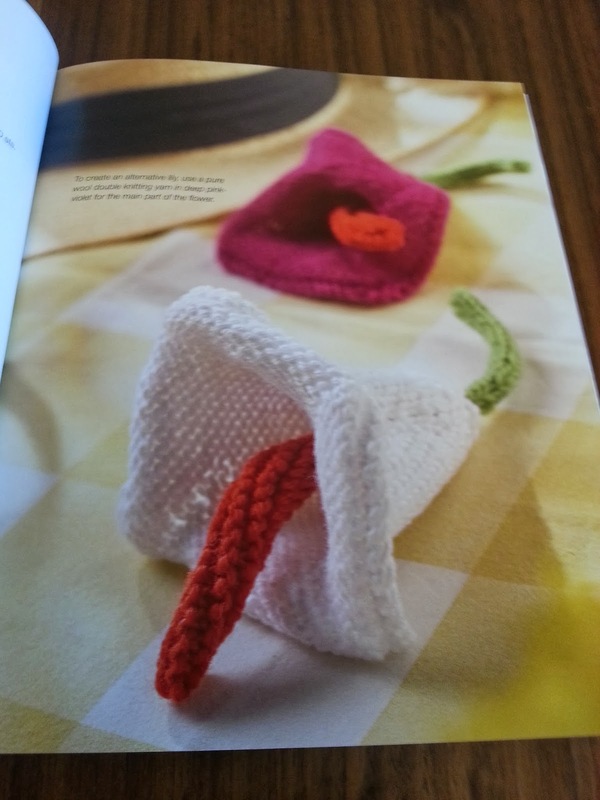 This book is going to pleasantly surprise you. 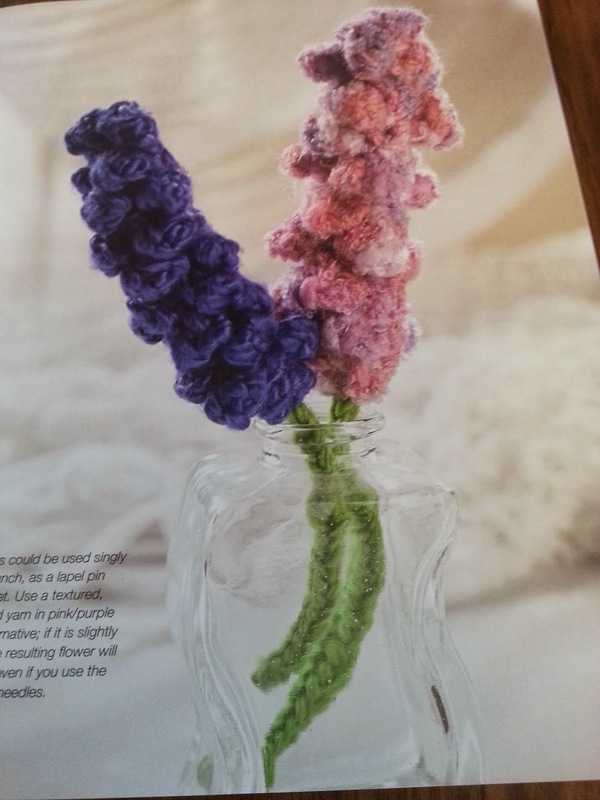 to give each of these flowers their unique look. 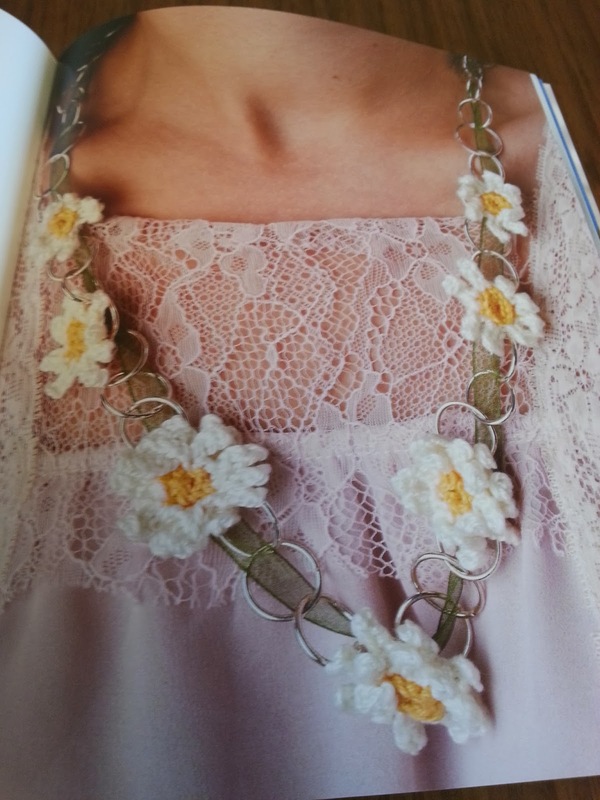 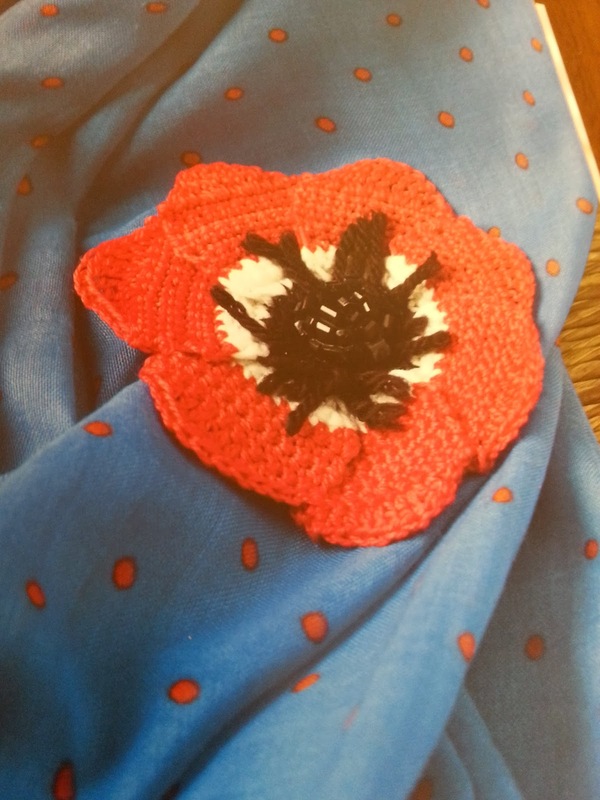 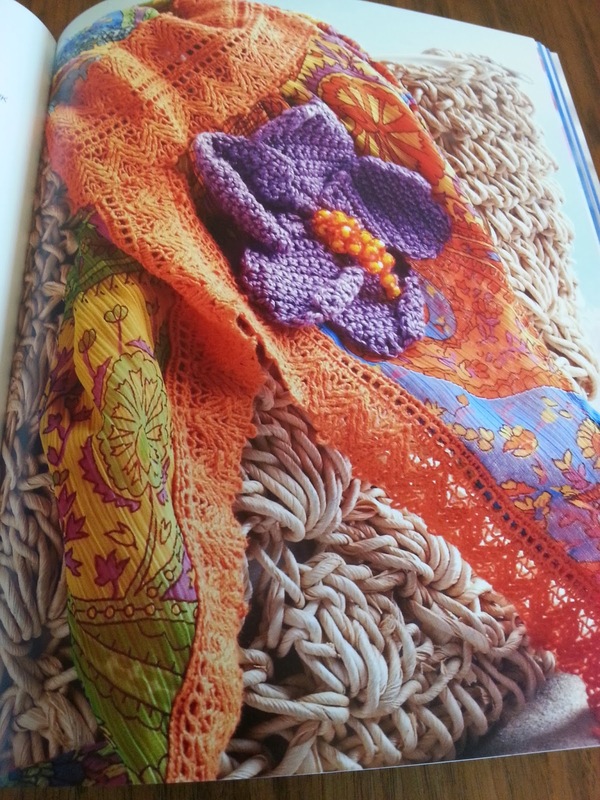 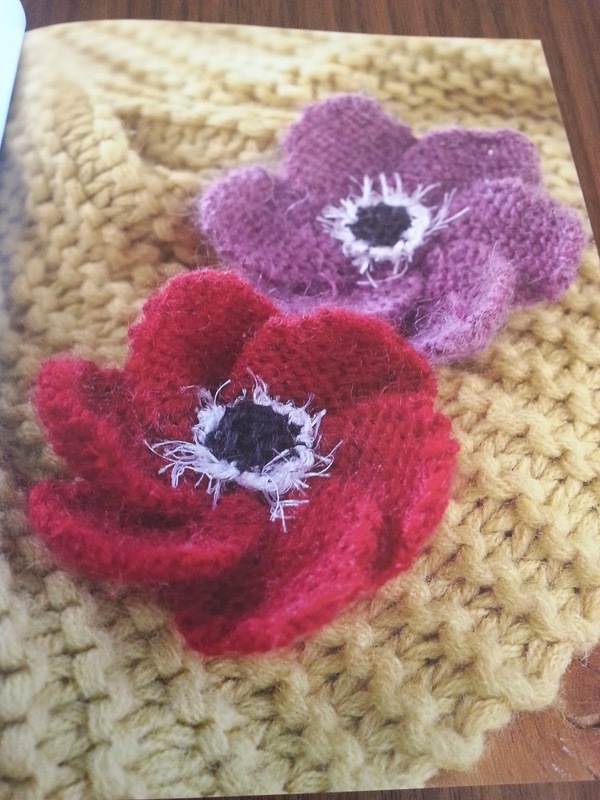 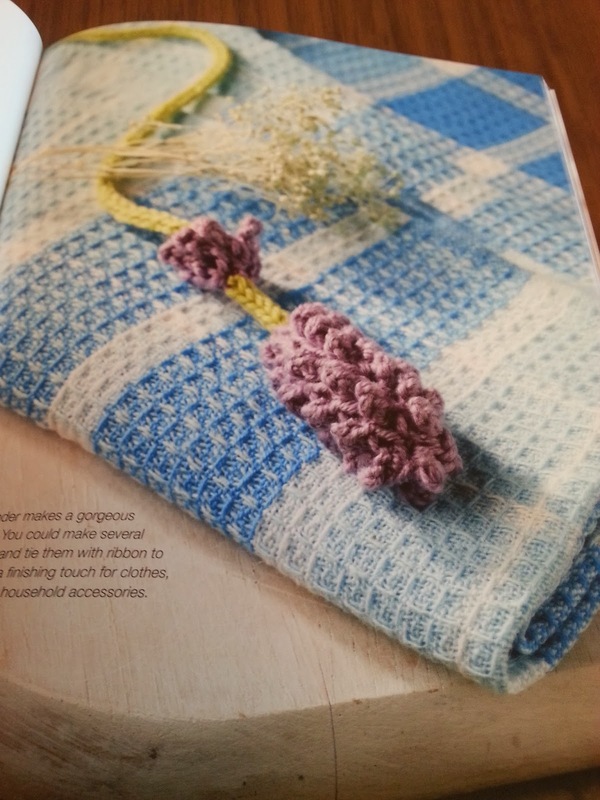 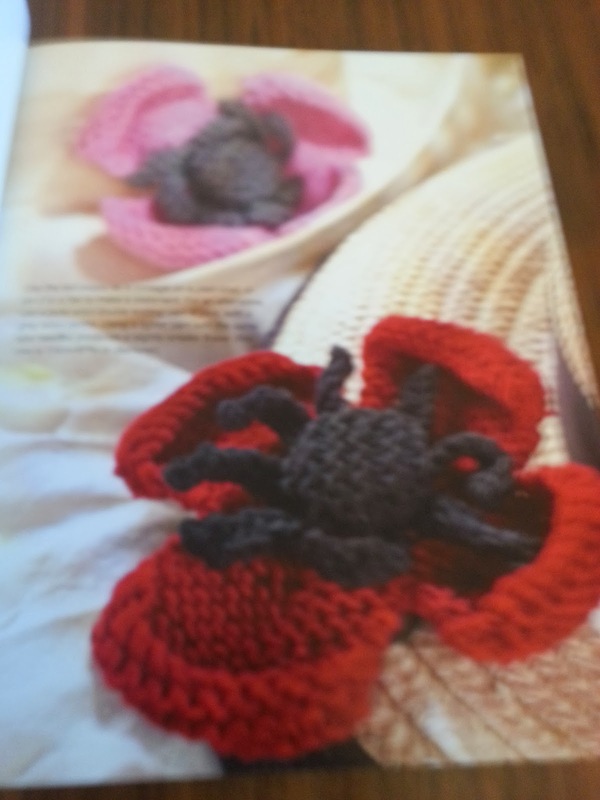 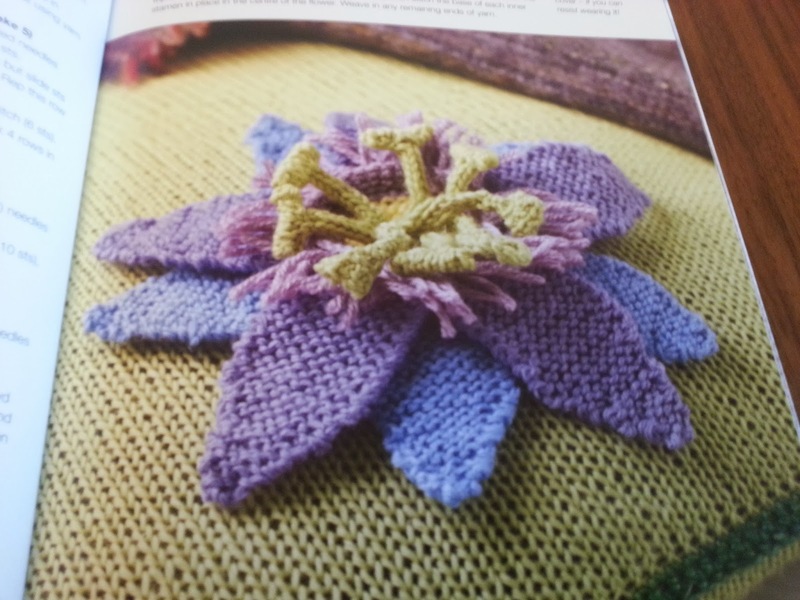 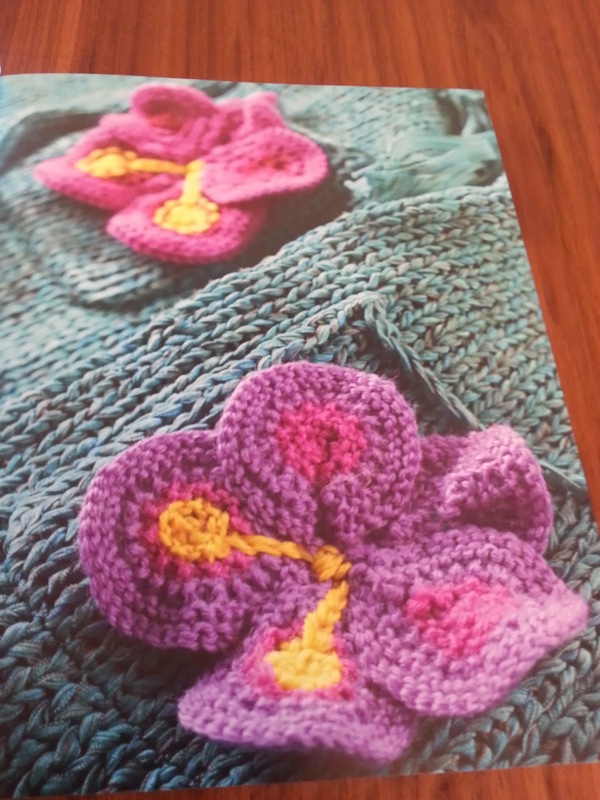 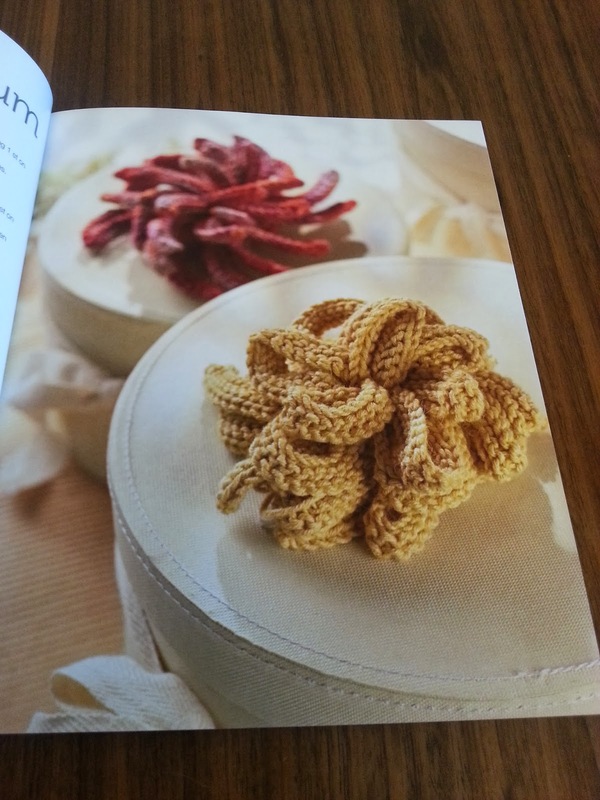 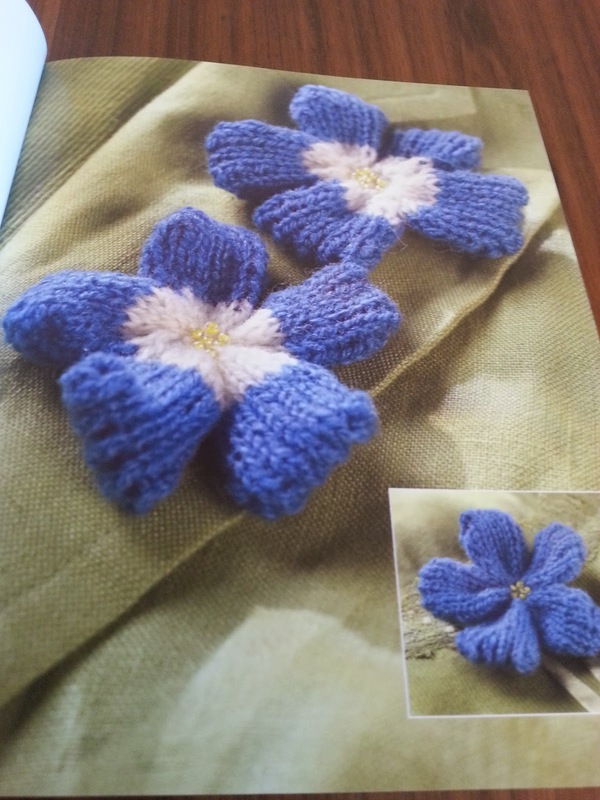 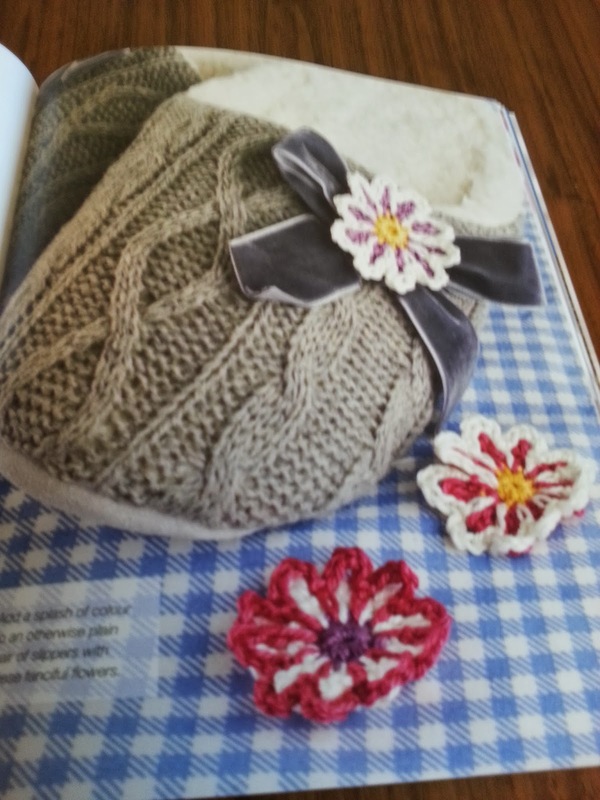 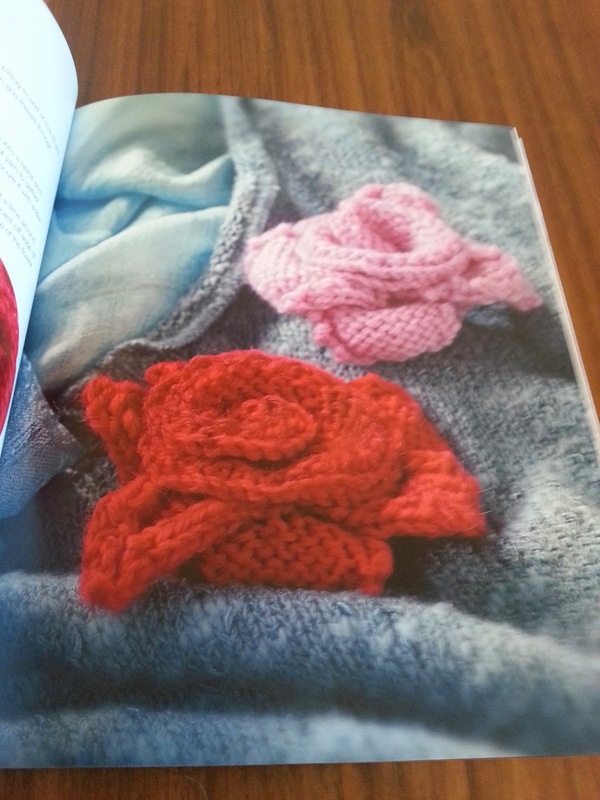 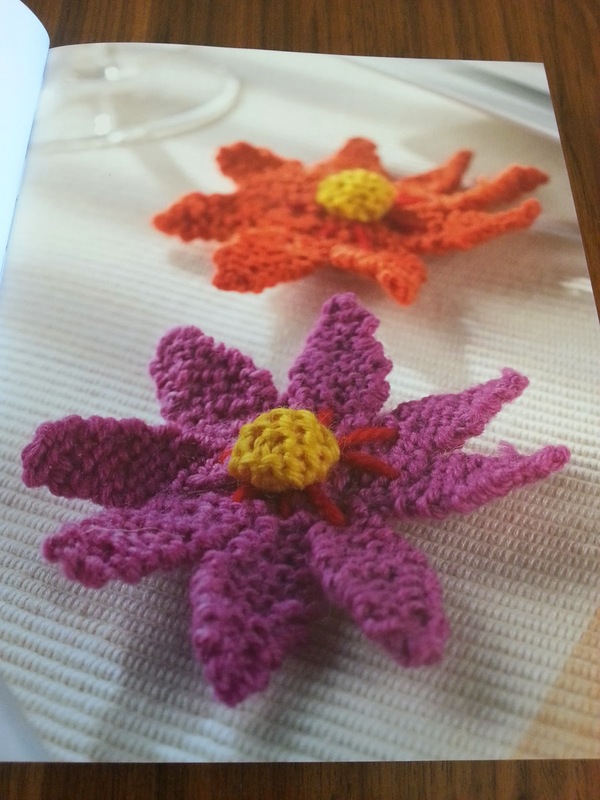 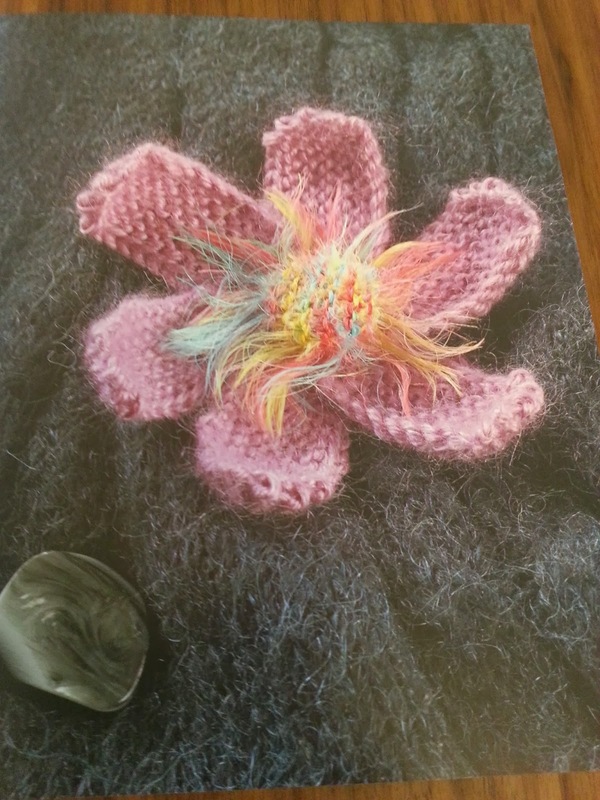 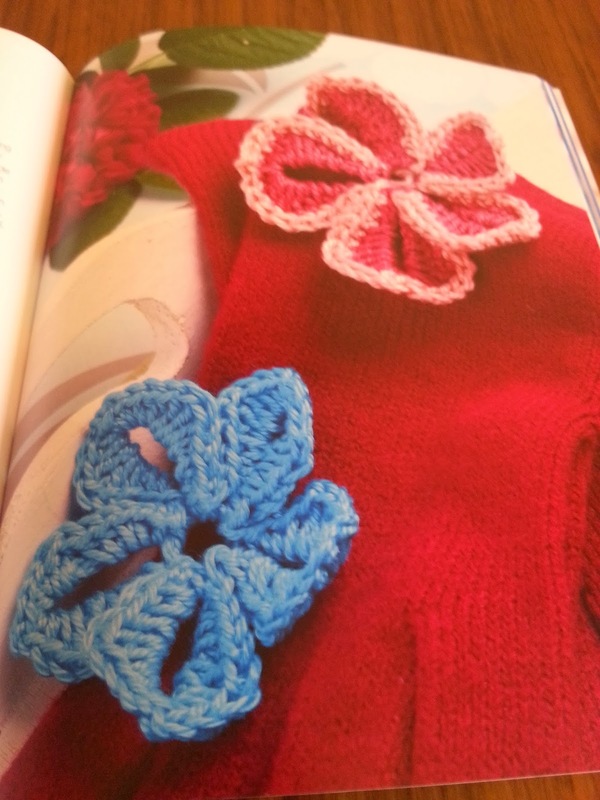 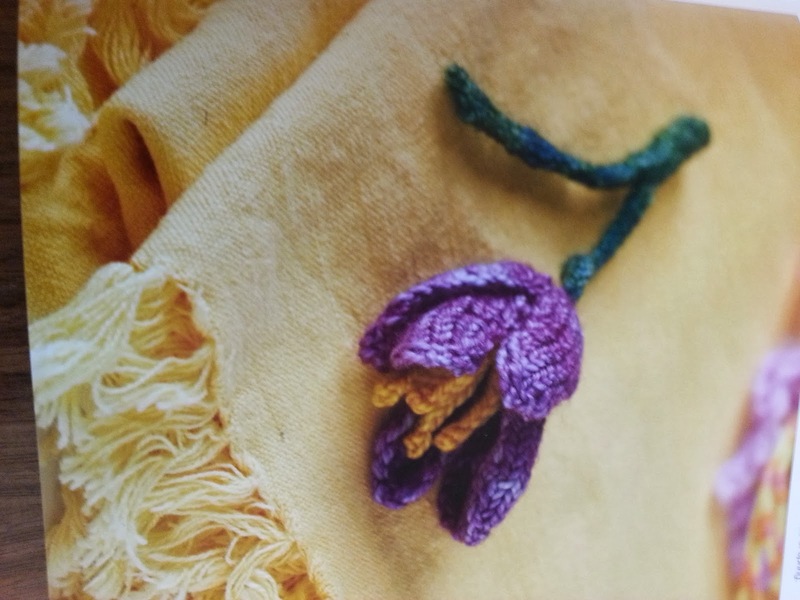 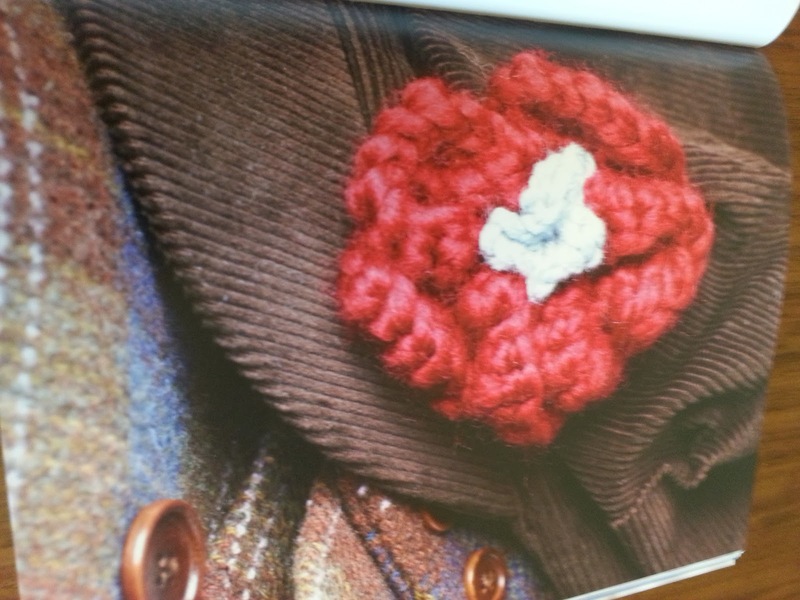 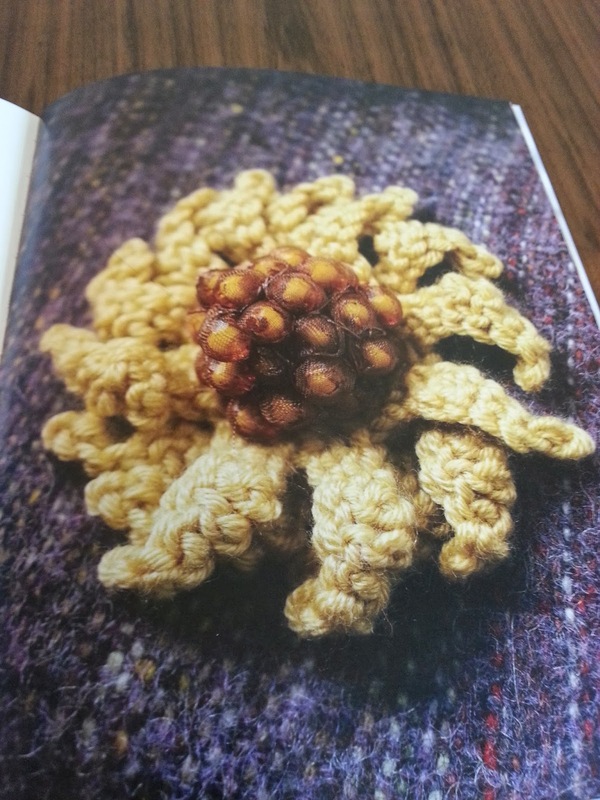 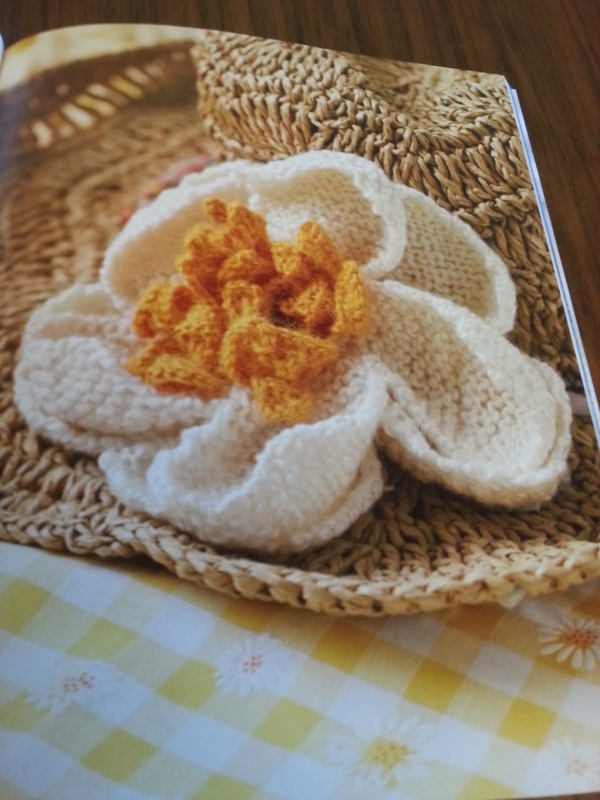 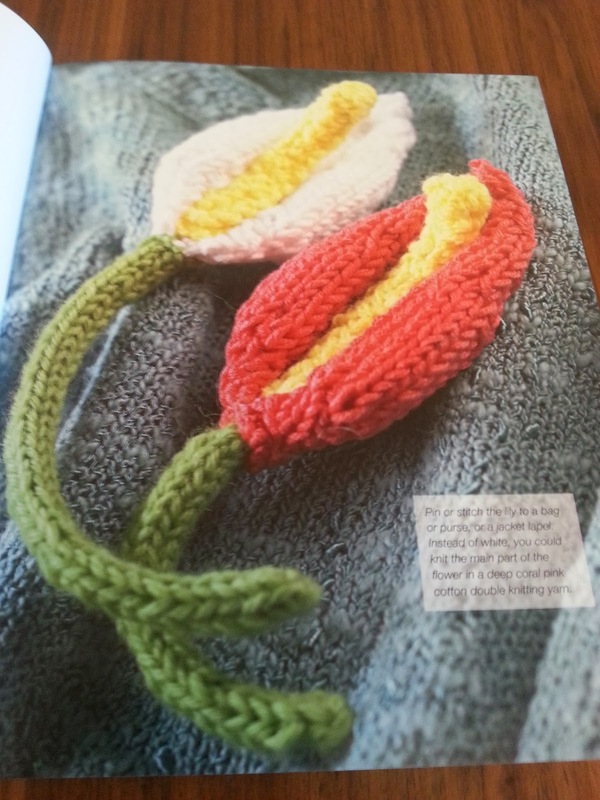 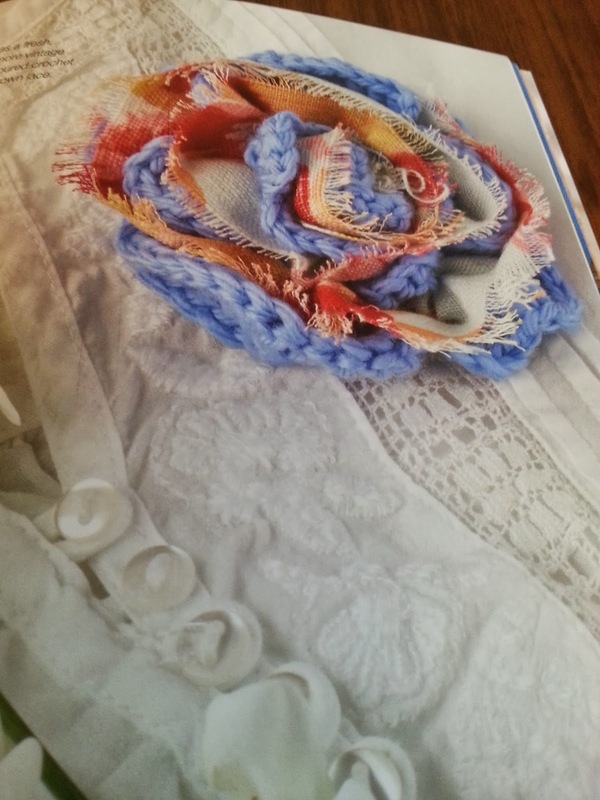 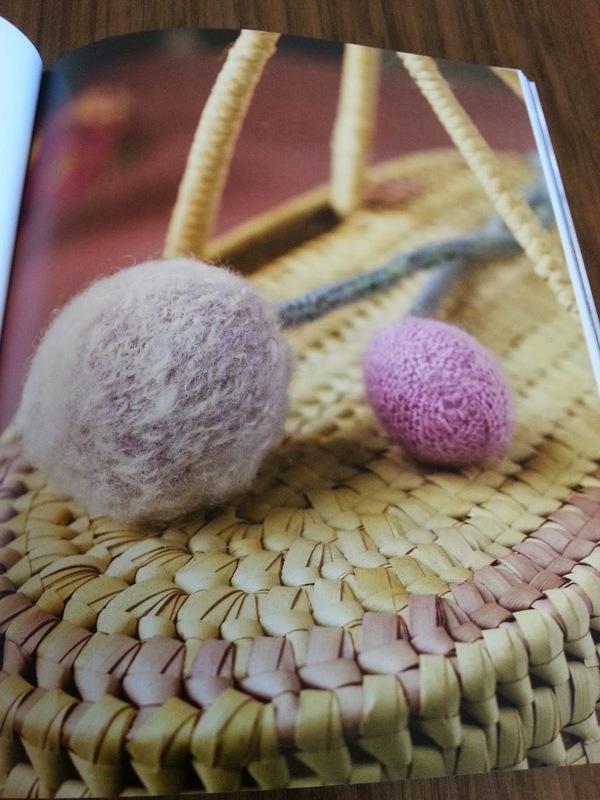 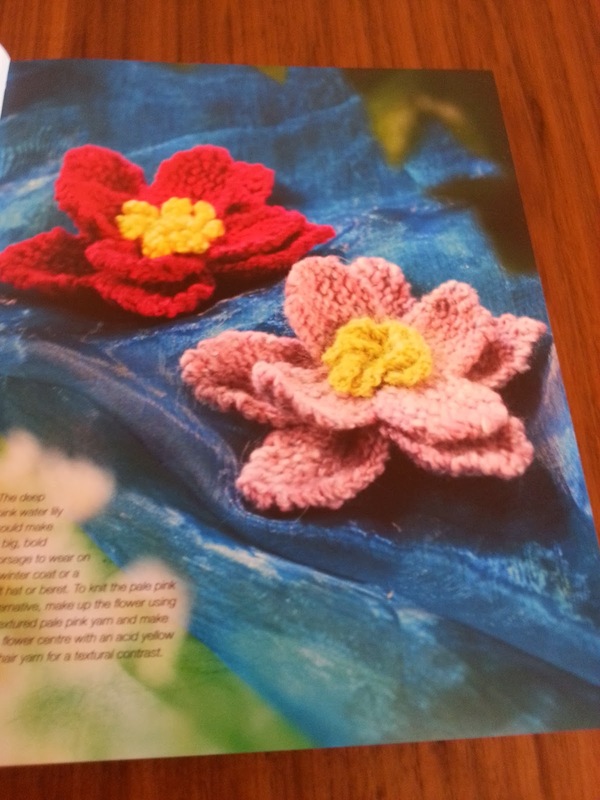 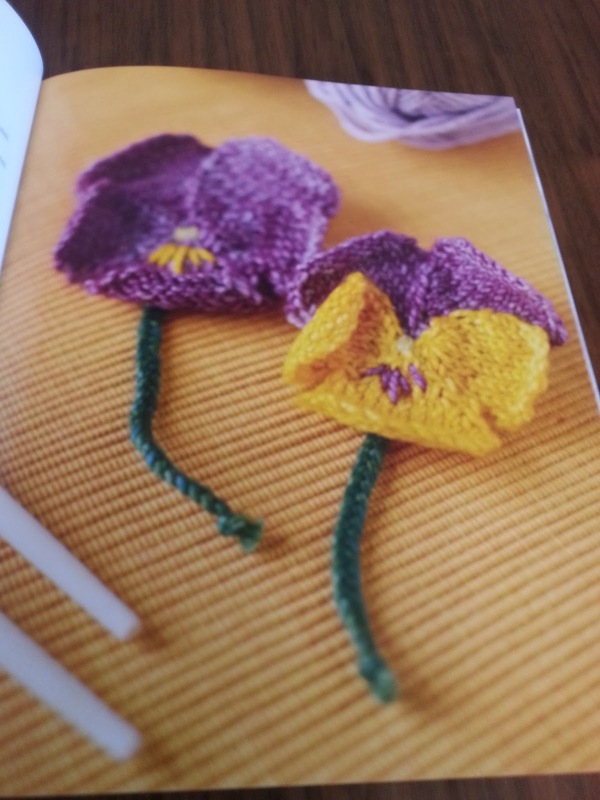 The first half of the book showcases the knitted patterns. 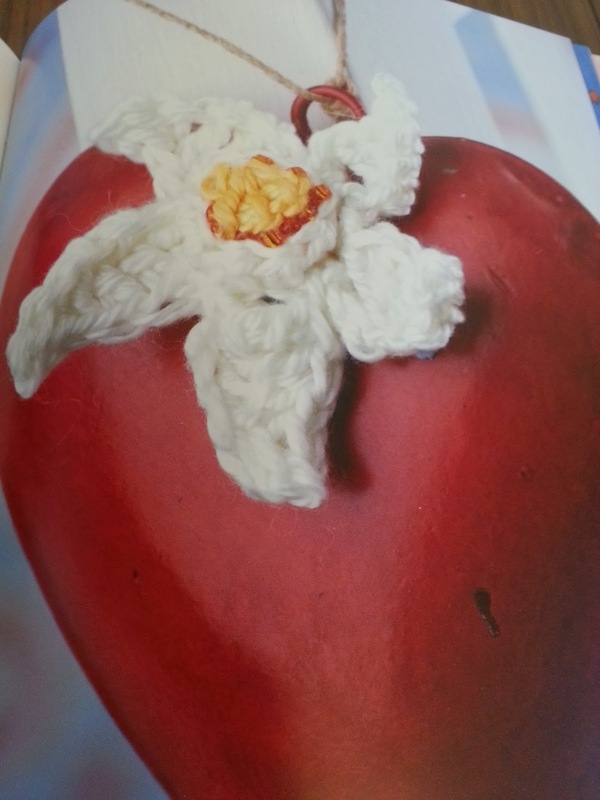 There are lots of fantastic pictures of the finished flowers. 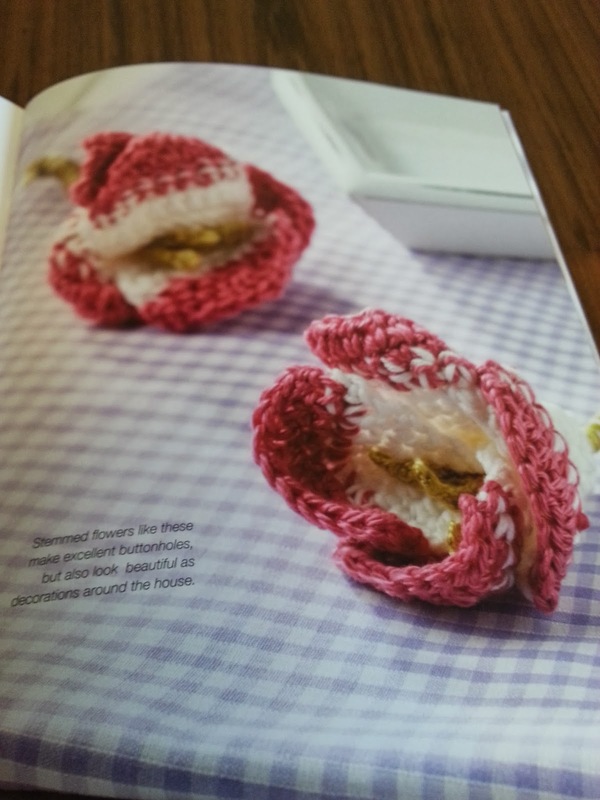 However their aren't any of the process of making them. 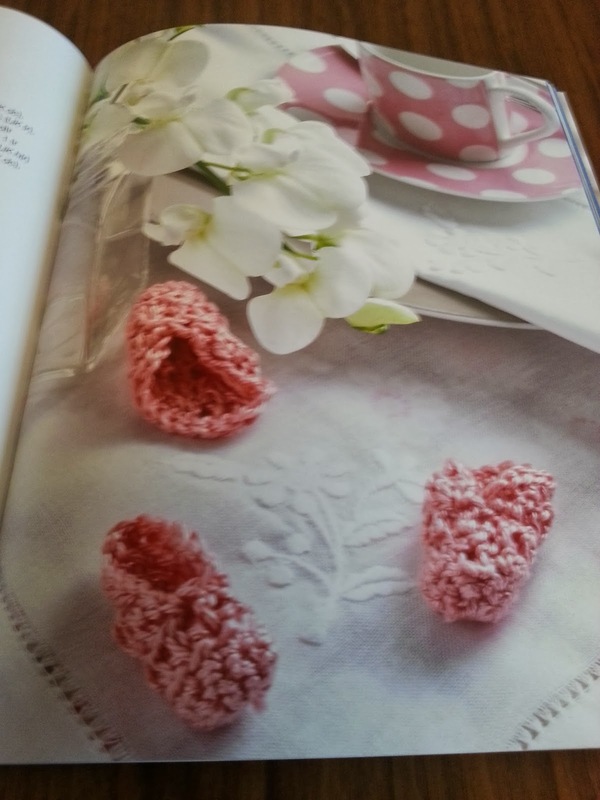 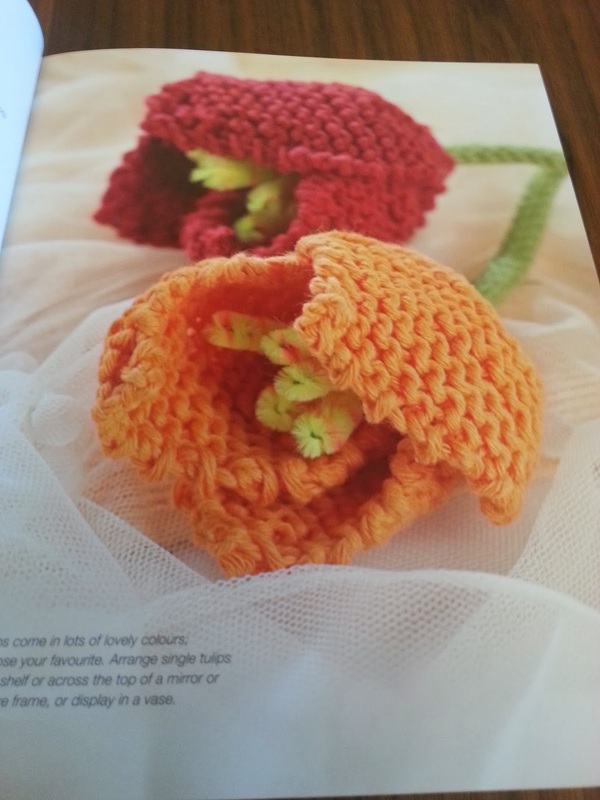 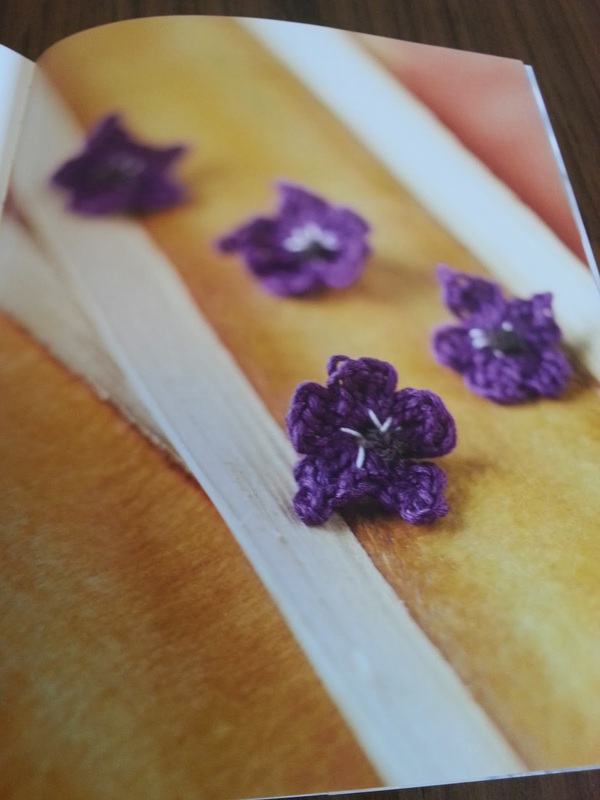 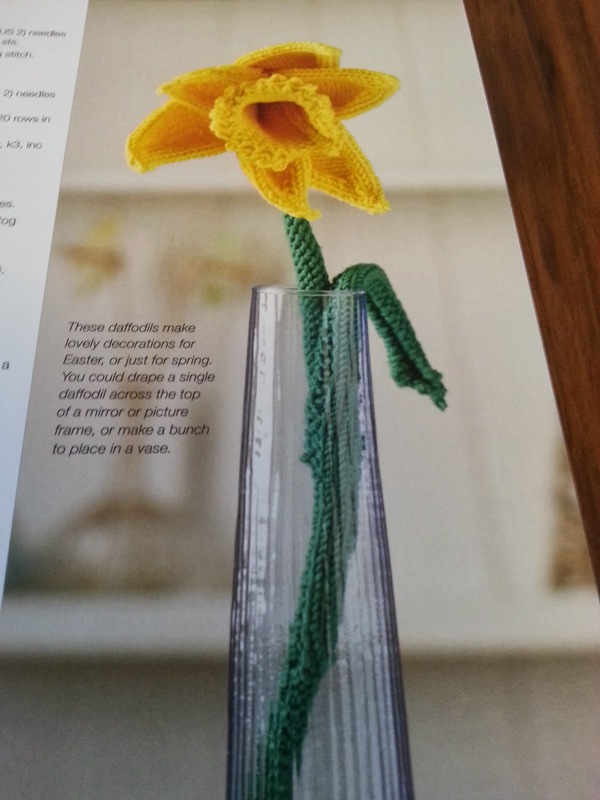 more able to make your finished flowers look like the finished product in the book. 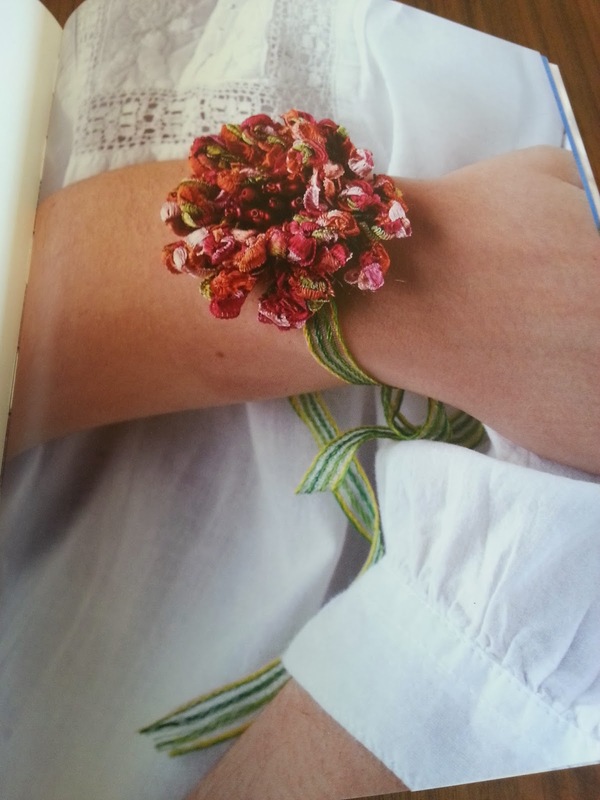 I love the look of the flowers and each one has such a unique look. 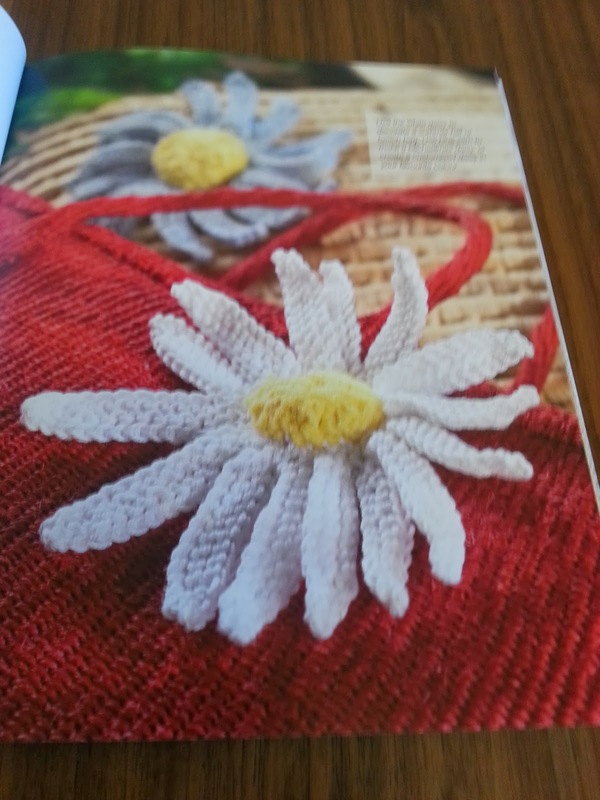 with a different colour you can get a lot of different looks. 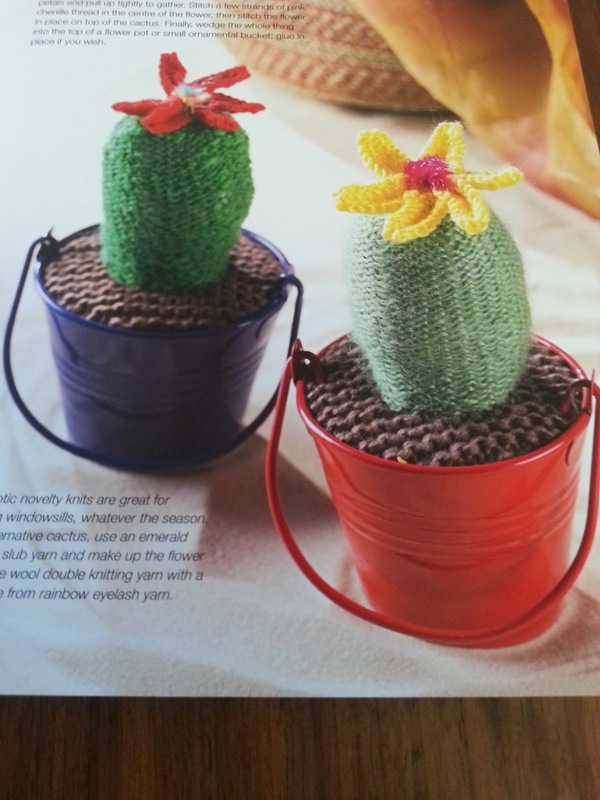 These would be fantastic to add to a multitude of projects. 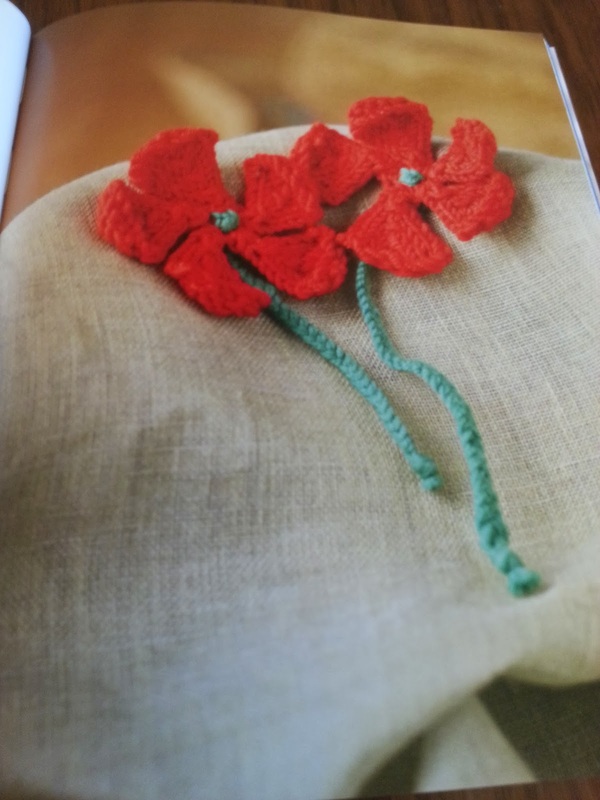 What a fantastic way to brighten up a bag, cardigan or even a hat. 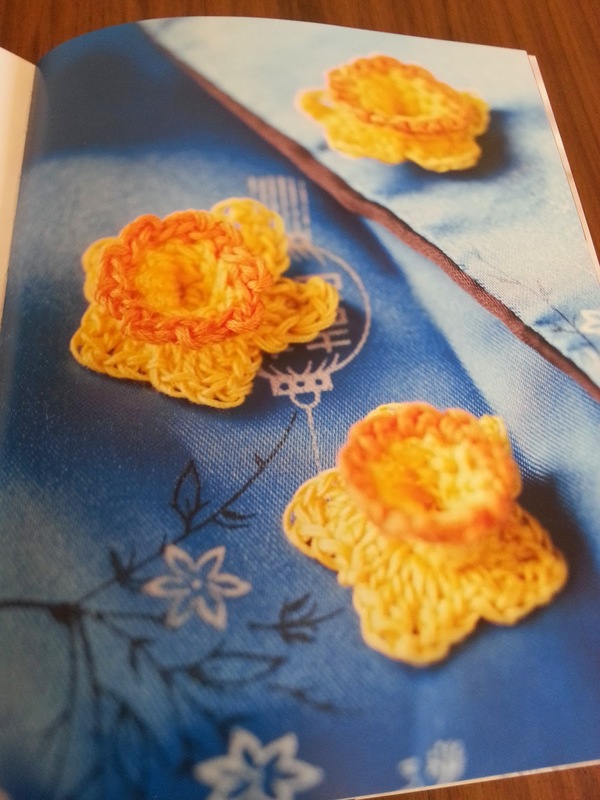 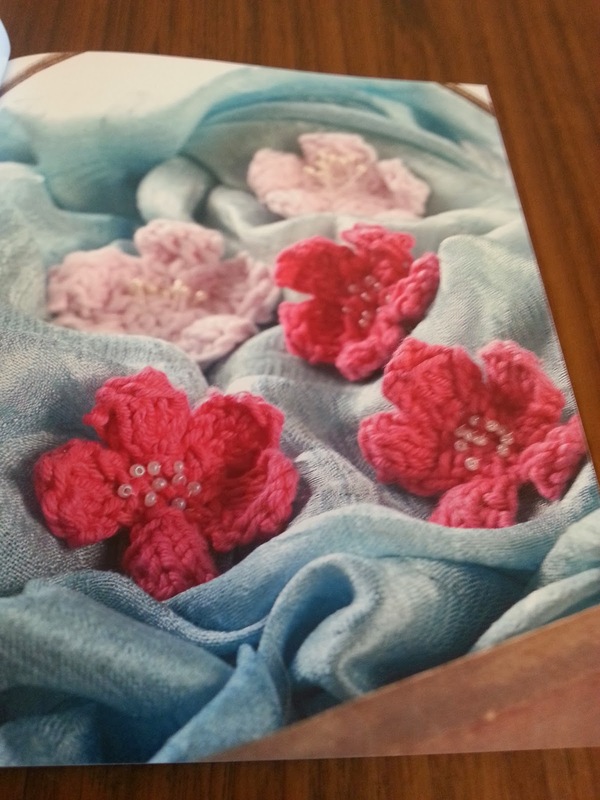 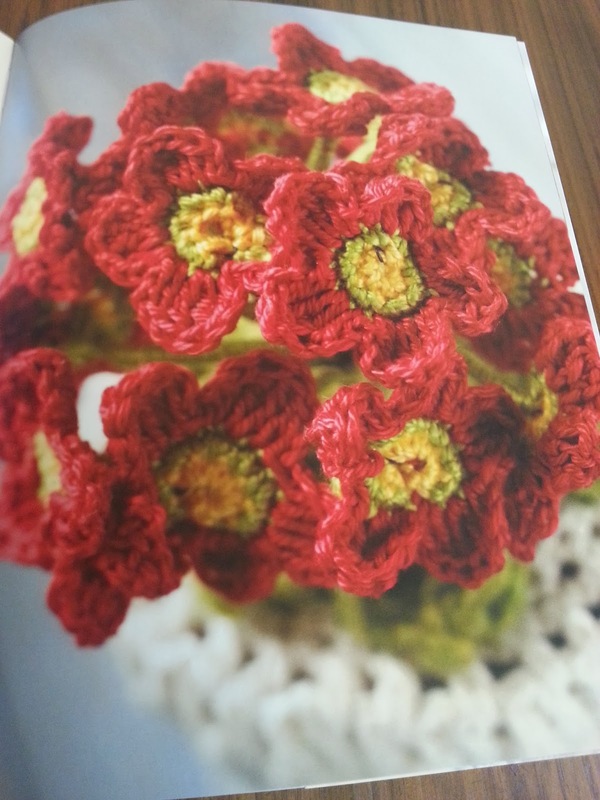 there are another 28 crocheted flowers to choose from. 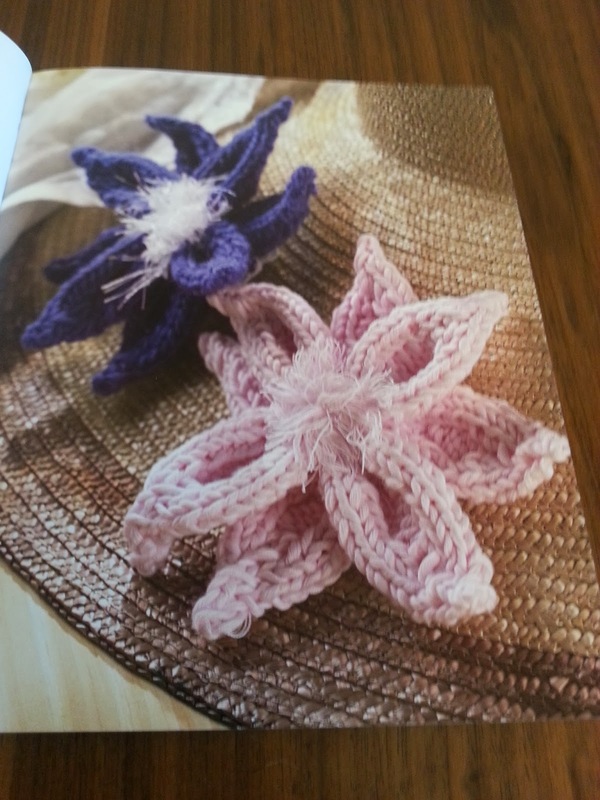 and items to get you a really good look. 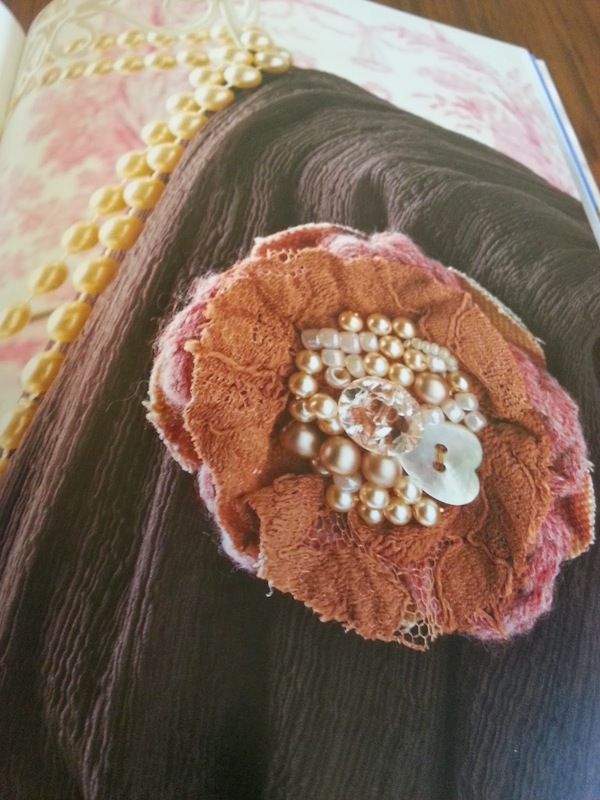 I love the use of beads and fabric with crochet. 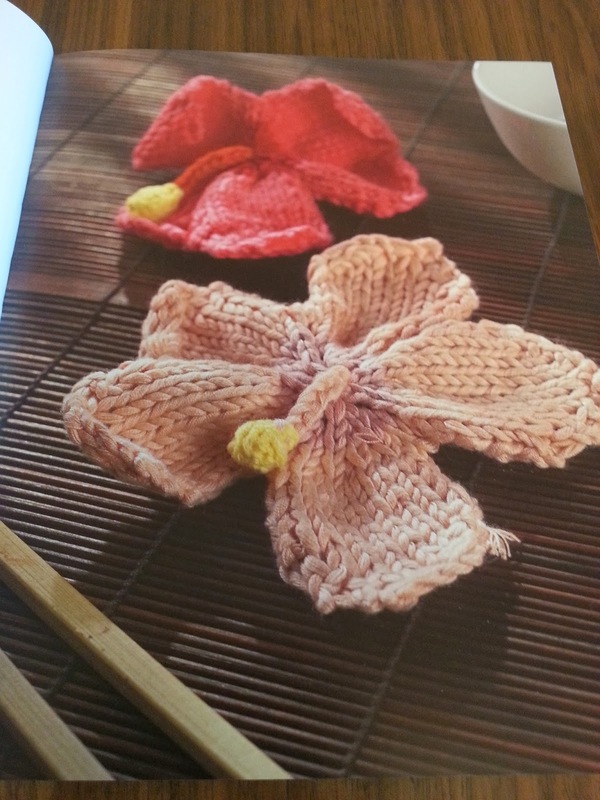 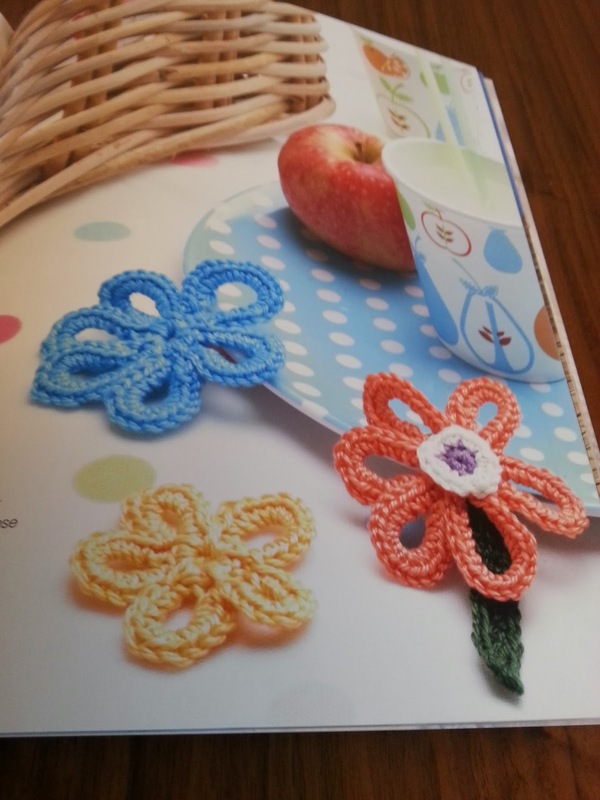 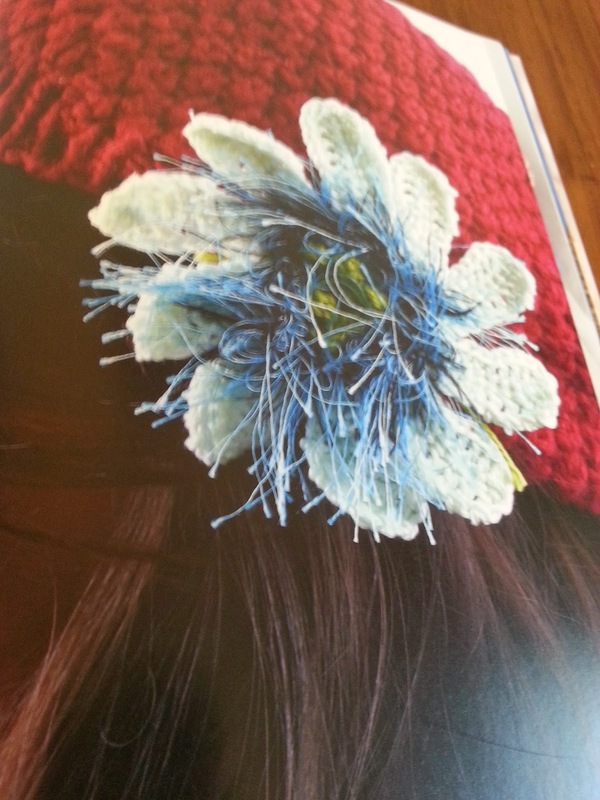 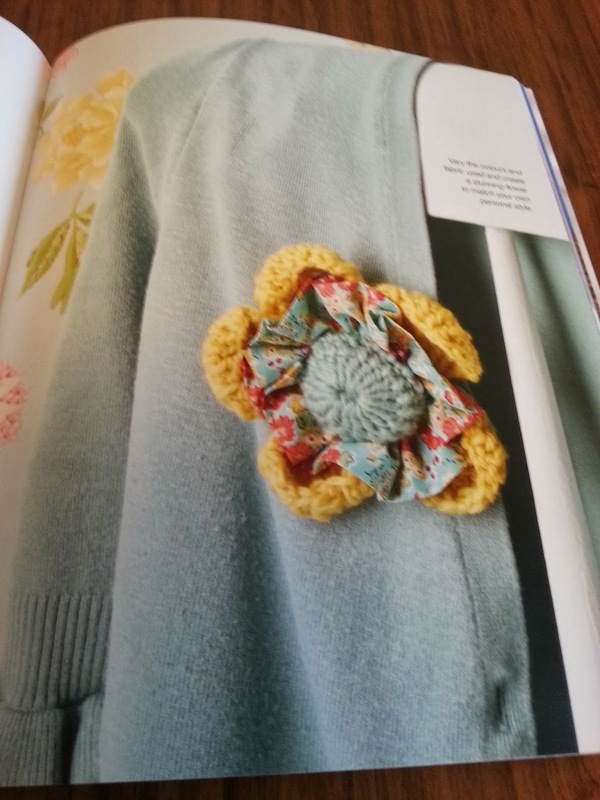 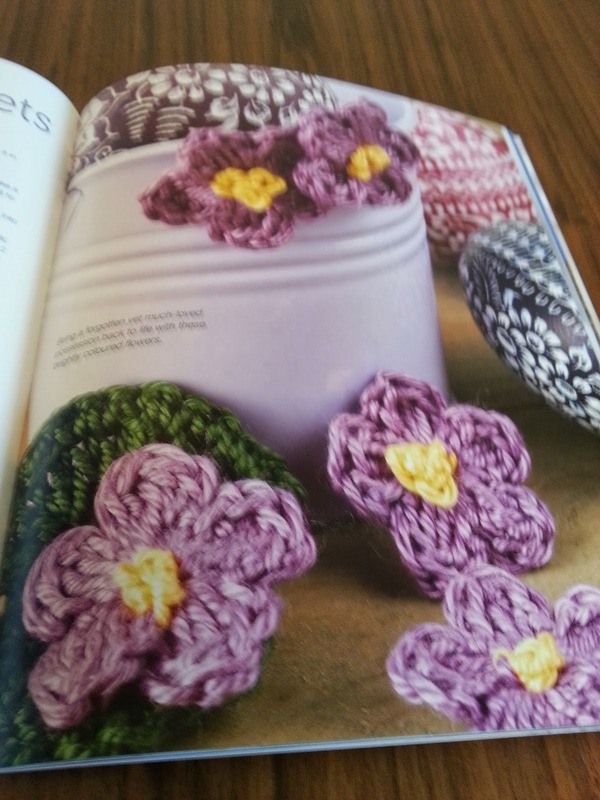 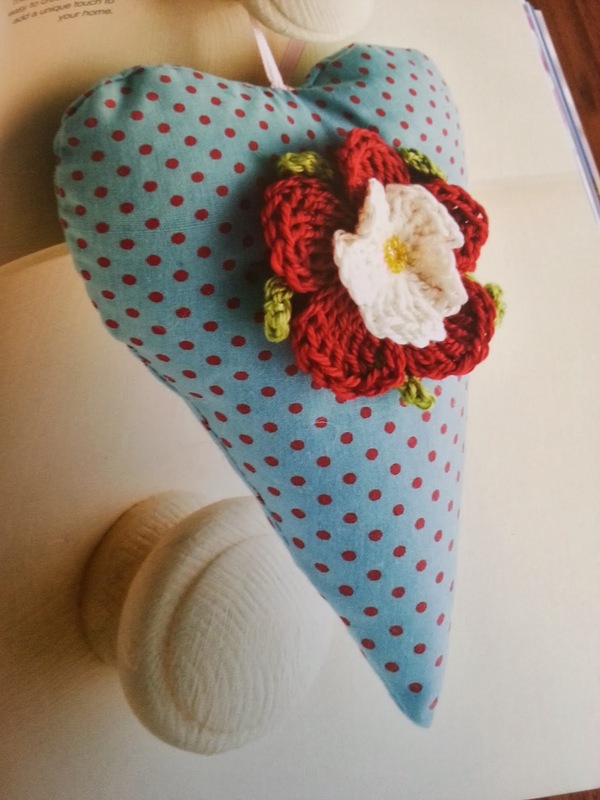 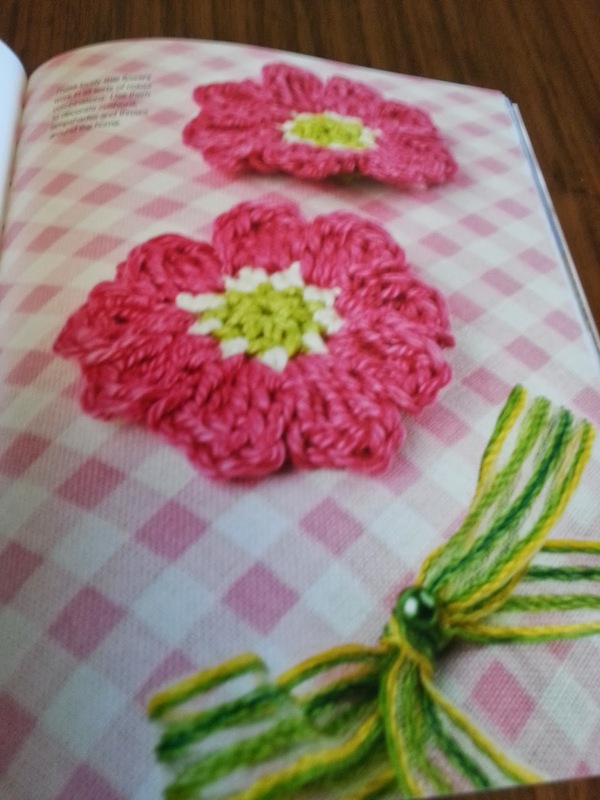 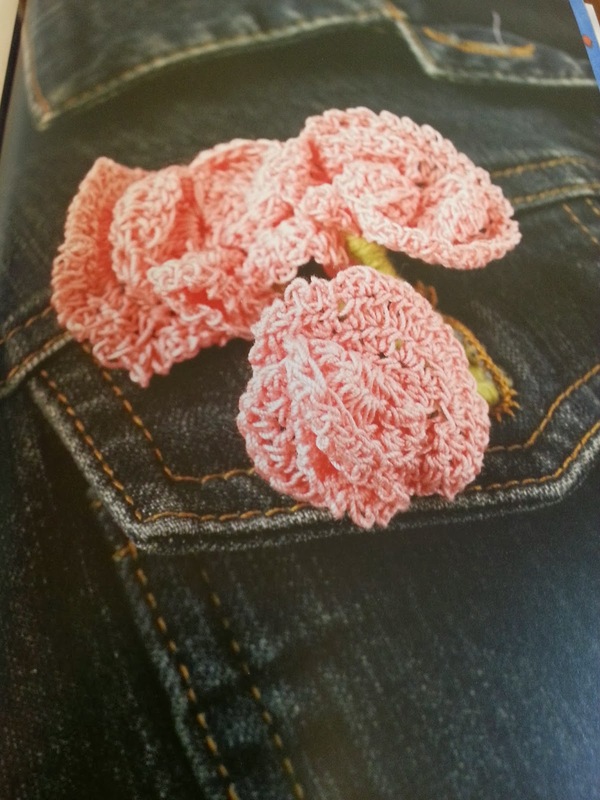 It's funny I wouldn't of though of adding fabric to a crochet flower. 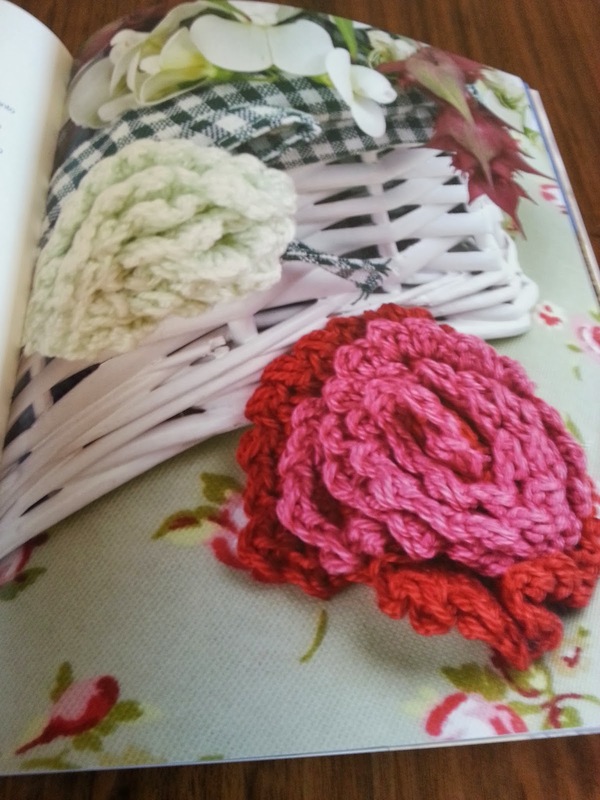 It's a very trendy at the moment to have up-cycled material flowers. 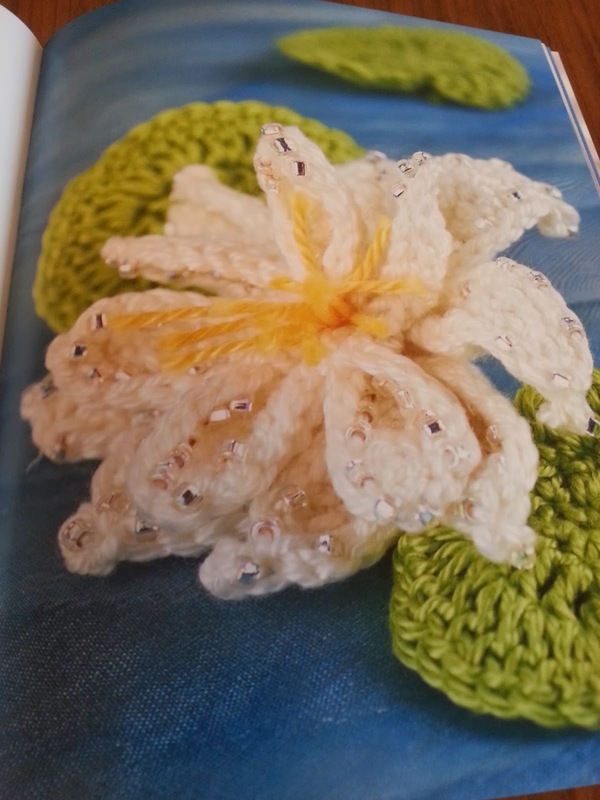 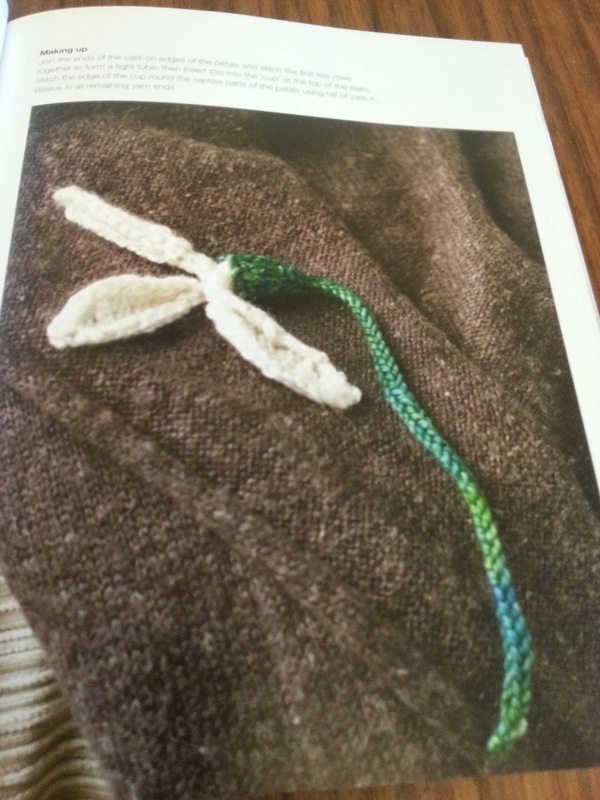 Well what's better than mixing this up with a crocheted flower. 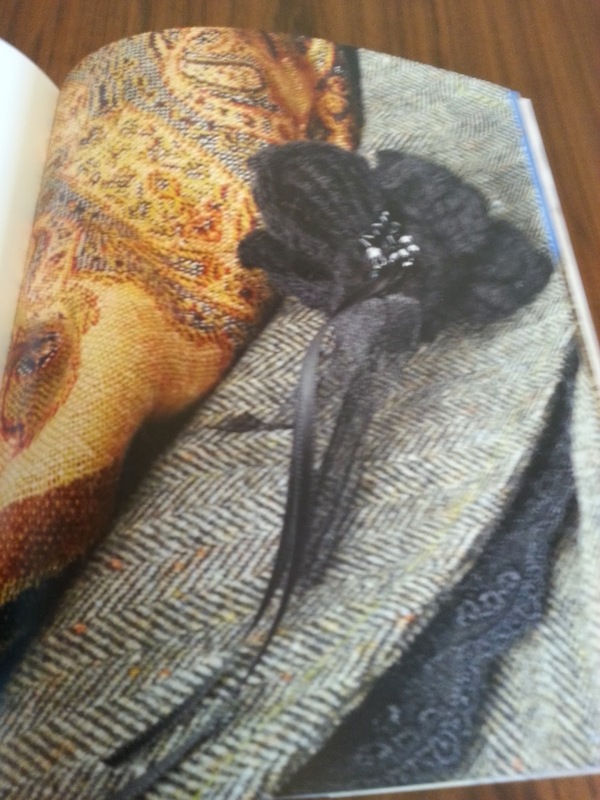 I think your getting alot of patterns for you buck. 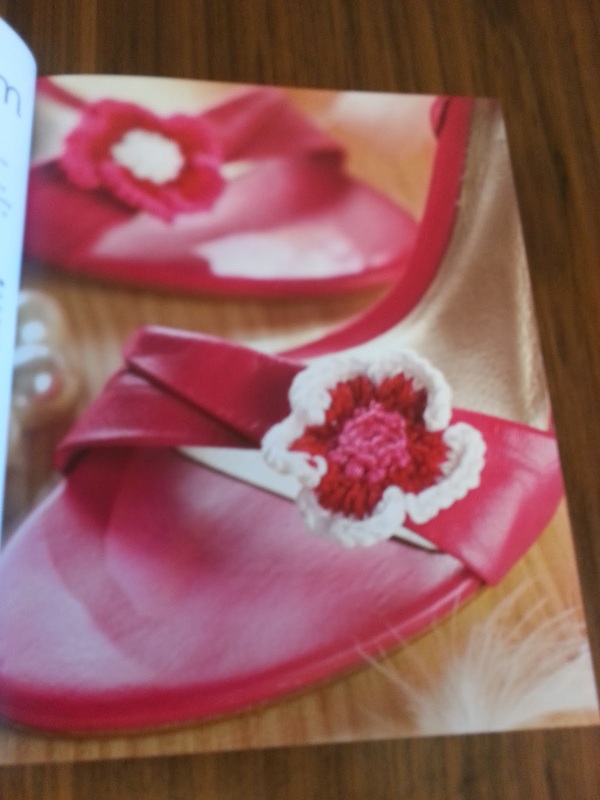 There is a fantastic variety with some original looks. 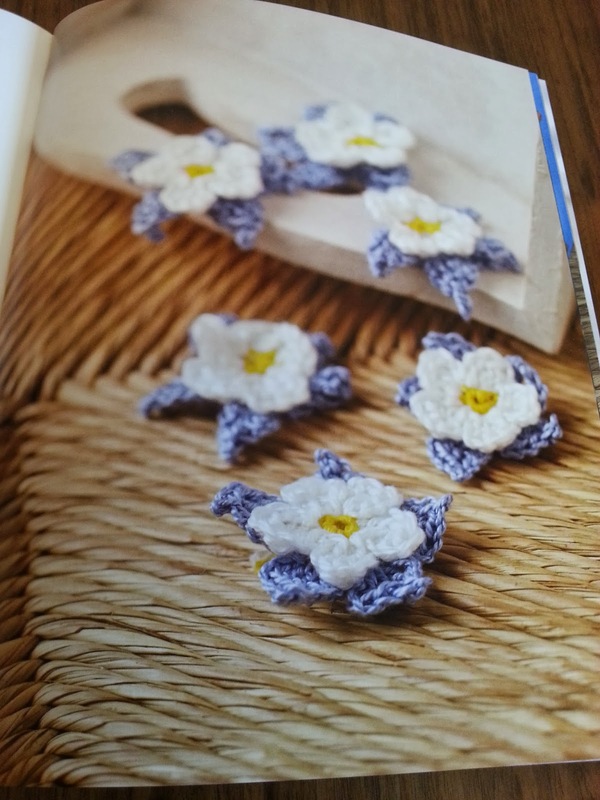 I can't wait to start adding them to my projects. 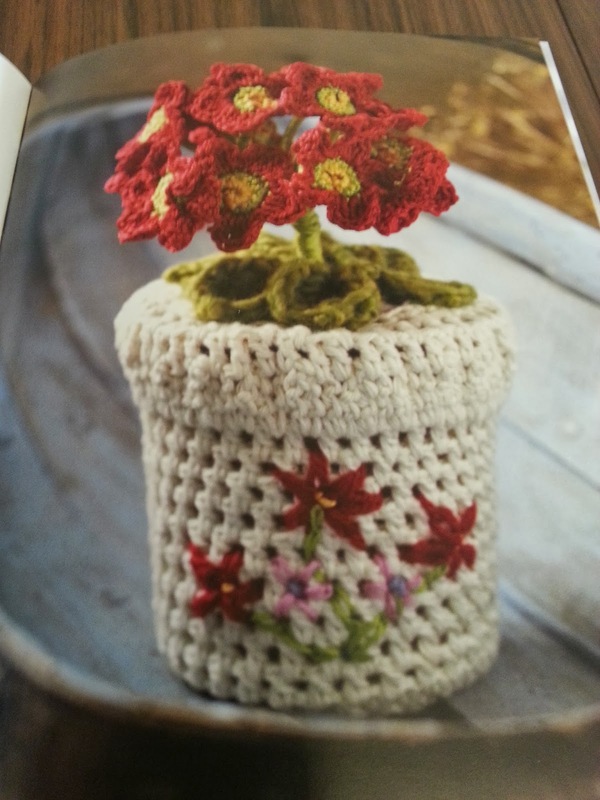 My favorite is the crochet Tudor Rose.